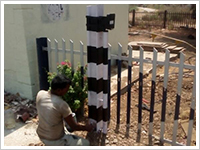 We have executed large scale and prestigious projects for many esteemed clients since our inception. 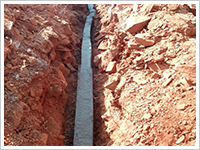 Prominent works done by TIL in past 3-10 years pertain to providing domestic gas connection and MDPE laying for clients like Gujarat Gas Limited, Mahanagar Gas Limited (Mumbai), and Green Gas Limited (Lucknow). Alongside these, we are running Annual Maintenance Contracts for quad cable installed, commissioned and laid by us or others in various Indian railways Divisions. 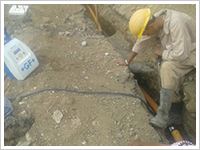 Trenching and laying of 6 Quad cable & OFC along with associated accessories, Jointing, Testing and Commissioning of complete quad cable system and OFC in Dhsasa – Jatalsar (115 Kms.) section of Bhavnagar Division in Western Railway. 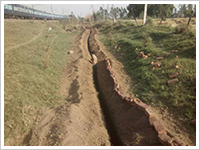 Supply of Materials, Installation, Testing & commissioning of Synchronous Digital Hitearchy (SDH) STM-1 equipments, ADD/Drop Muxes and other associated equipments of OFC system along with 6 Quad Cable work in connection with patch Doubling along with Electrification in Rewari-Maneheru section of Bikaner Division on North Western Railway. 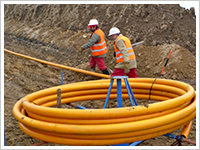 Trenching, laying jointing, backfilling, termination & testing of 6 quad cable supply and laying of HDPE duct and suplly, installation, wiring & commissioning of repeater equipment/way station equipment. HQ control equipment etc. 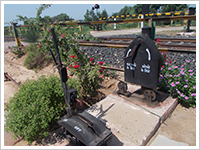 for providing control, block, emergency control & gate communication on quad cable in Suratpura –Ellenabad section of Bikaner division on North Western Railway. 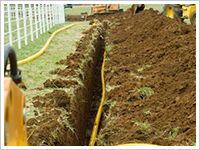 Trenching, Laying ,Jointing, Backfilling, termination & Testing of 6 Quad cable. Supply and Laying of HDPE duct & supply,Installation ,wiring & commissioning of repeater equipments /way station equipment , HQ control equipments etc. 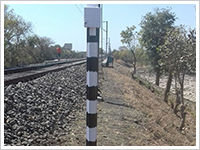 for providing control ,block,emergency control & gate communication on quad cable Between HMH to ENB Section for Station (HMH,HMO,SRKN,TLI& ENB in HMH SURP section of Bikaner Division on NW Railway). 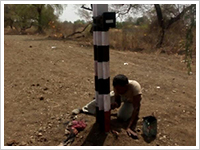 In/outdoor work including supply of materials in connection with upgradation and interlocking of LC No.31,36 & 120 in RJT division of WR. 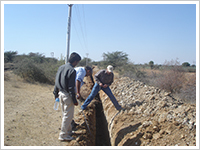 Operation and maintenance of 6 Quad Cables with all Telecom associated equipments of Jodhpur-MarwarJn. & Luni-Samdari Section of Jodhpur division. 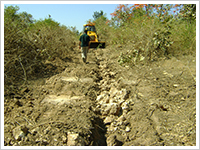 Nature of work: City Gas Distribution Project. 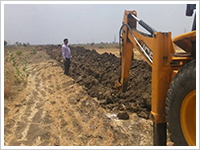 Laying of Medium Density Poly Ethyline (MDPE) Pipeline for City Gas Distribution Network and Installation of service Regulator in Ambernath area. 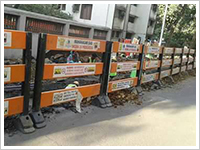 Laying of Medium Density Poly Ethyline (MDPE) Pipeline for City Gas Distribution Network and Installation of service Regulator, Regulating Stations for Industrial and Commercial customers in Koperkhairne, Navi Mumbai area.